This candidate will be picking parts, crating freight orders, picking customer orders, stocking parts shelves, transfering parts between warehouses, learn to use the UPS and Speedee shipping systems, organize the parts department, maintain the appearance of the parts department, and will need to watch inventory levels of parts stocked. They will also need to take an occasional phone call from customers to take orders and use the parts manuals to help identify the parts that the customer needs. MEYER MANUFACTURING is hiring CNC programmers with starting pay at up to $20.11 per hour. Normal week is (4) 10-hour days, Monday - Thursday. Excellent benefits including 2 weeks of vacation your first year, 401K retirement plan with 100% employer match up to 6%, annual profit sharing, tuition reimbursement, health insurance cost sharing and advancement opportunities. Apply online at meyermfg.com or in person at 674 West Bus. County Road A, Dorchester, WI. 715-654-5132. Starting pay is $18.00 per hour. We are currently accepting applications for CNC programmers. 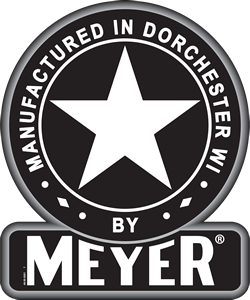 MEYER MANUFACTURING is hiring CNC machinists with starting pay at up to $18.00 per hour. Normal week is (4) 10-hour days, Monday - Thursday. Excellent benefits including 2 weeks of vacation your first year, 401K retirement plan with 100% employer match up to 6%, annual profit sharing, tuition reimbursement, health insurance cost sharing and advancement opportunities. Apply online at meyermfg.com or in person at 674 West Bus. County Road A, Dorchester, WI. 715-654-5132. Starting pay is $18.00 per hour. We are currently accepting applications for CNC machinists. MEYER MANUFACTURING is hiring general labor and assembly starting at $15.00 per hour. Normal week is (4) 10-hour days, Monday - Thursday. Excellent benefits including 2 weeks of vacation your first year, 401K retirement plan with 100% employer match up to 6%, annual profit sharing, tuition reimbursement, health insurance cost sharing and advancement opportunities. Apply online at meyermfg.com or in person at 674 West Bus. County Road A, Dorchester, WI. 715-654-5132. We are currently accepting applications for general labor. MEYER MANUFACTURING is hiring painters with starting pay at $18.00 per hour. Normal week is (4) 10-hour days, Monday - Thursday. Excellent benefits including 2 weeks of vacation your first year, 401K retirement plan with 100% employer match up to 6%, annual profit sharing, tuition reimbursement, health insurance cost sharing and advancement opportunities. Apply online at meyermfg.com or in person at 674 West Bus. County Road A, Dorchester, WI. 715-654-5132. We are currently accepting applications for painters. • Attach hoses or nozzles to machines, using wrenches and pliers, and make adjustments to obtain the proper dispersion of spray. • Clean machines, related equipment, and work areas, using water, solvents and other cleaning aids. • Determine paint flow, viscosity, and coating quality by performing visual inspections, or by using viscometers. • Examine, measure, weigh, or test sample products to ensure conformance to specifications. • Hold or position spray guns to direct spray onto articles. • Operate auxiliary machines or equipment used in coating or painting processes. • Paint small items and perform touch-up painting, using paint brushes. • Perform test runs to ensure that equipment is set up properly. • Place items or products on feedracks, spindles, or reel strands to coat, paint, or spray them, using hands, hoists, or truck lifts. • Record operational data on specified forms. • Remove materials, parts, or workpieces from painting or coating machines, using hand tools. • Select appropriate coatings, paints, or sprays, or prepare them by mixing substances according to formulas, using automated paint mixing equipment. • Set up and operate machines to paint or coat products with such materials as silver and copper solution, rubber, paint, glaze, oil, or rustproofing materials. • Start and stop operation of machines, using levers or buttons. • Start pumps to mix solutions and fill tanks. • Transfer completed items or products from machines to drying or storage areas, using handcarts, handtrucks, or cranes. • Turn dials, handwheels, valves, or switches to regulate conveyor speeds, machine temperature, air pressure and circulation, and the flow or spray of coatings or paints. MEYER MANUFACTURING is hiring welders with starting pay at up to $18.00 per hour. Normal week is (4) 10-hour days, Monday - Thursday. Excellent benefits including 2 weeks of vacation your first year, 401K retirement plan with 100% employer match up to 6%, annual profit sharing, tuition reimbursement, health insurance cost sharing and advancement opportunities. Apply online at meyermfg.com or in person at 674 West Bus. County Road A, Dorchester, WI. 715-654-5132. Starting pay is $18.00 per hour. We are currently accepting applications for welders. • Clean, lubricate, maintain, and adjust equipment to maintain efficient operation, using air hoses, cleaning fluids, and hand tools. • Compute and record settings for new work, applying knowledge of metal properties, principles of welding, and shop mathematics. • Correct problems by adjusting controls or by stopping machines and opening holding devices. • Dress electrodes, using tip dressers, files, emery cloths, or dressing wheels. • Give directions to other workers regarding machine set-up and use. • Inspect, measure, or test completed metal workpieces to ensure conformance to specifications, using measuring and testing devices. • Read blueprints, work orders, or production schedules to determine product or job instructions or specifications. • Record operational information on specified production reports. • Remove completed workpieces or parts from machinery, using hand tools. • Set dials and timing controls to regulate electrical current, gas flow pressure, heating or cooling cycles, or shut-off. • Transfer components, metal products, or assemblies, using moving equipment. • Turn and press knobs and buttons or enter operating instructions into computers to adjust and start welding machines. 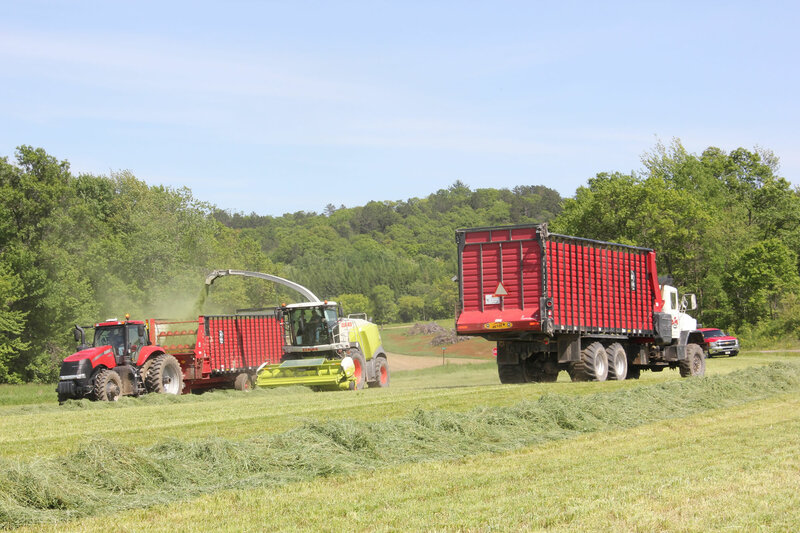 This candidate will be responsible for creating and preparing detail drawings for new and existing products on a wide variety of Meyer agricultural equipment and mechanical devices. Will be able to assist with model changes as required. May prepare a bill of materials for new and existing products. Understand the Product Change Notice (PCN) process. Support assembly, fabrication, and welding as required. Will be able to grow with the company as the person is capable, willing, and the position allows.